It’s Arsenal v Southampton and Man United v West Ham in the EFL Cup tonight’s EFL Cup ties; use Today’s Enhanced Offer to capitalize big-time on the games. Win big or go home! 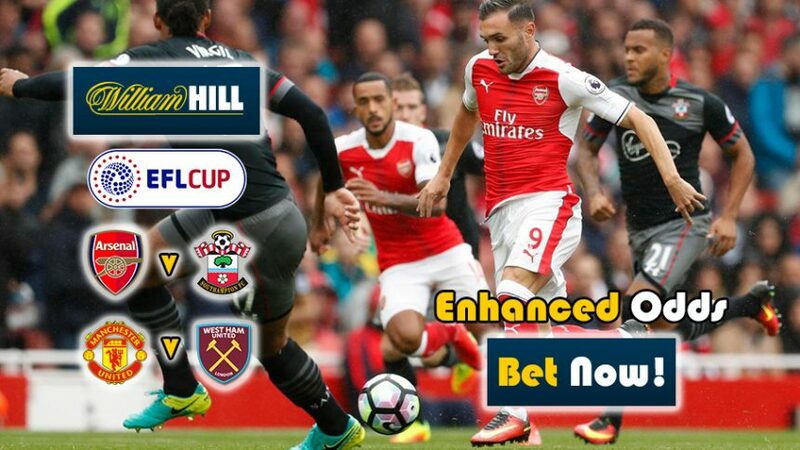 William Hill Sports offers a range of special betting offers for tonight’s encounters in the EFL Cup; so make your bets count with Today’s Enhanced Offer. There are a total of seven Enhanced Odds betting markets for the two matches in the EFL Cup today; explore the best opportunities and place your wagers to collect big winnings. Maximize your earnings with Today’s Enhanced Offer! Man United’s forgotten man Bastian Schweinsteiger is likely to feature against West Ham tonight for the first time since new boss Jose Mourinho took charge of the club, according to Sky Sports. 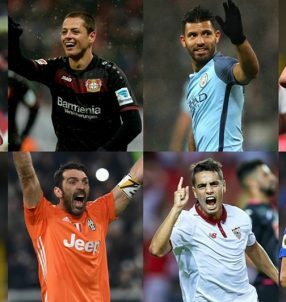 The former Bayern Munich star was a regular under previous manager Louis van Gaal, appearing in a total of 31 games across all competitions last season, but has supposedly been told that he’s surplus to requirements under the Portuguese. Schweinsteiger may still leave Old Trafford in the January transfer window, but will have been glad to at least make an appearance in the 2016/17 campaign. Use Today’s Enhanced Offer before kick-off time tonight! Cup games are often viewed as having a different level of competitiveness, as big clubs normally field youngsters, therefore giving smaller clubs a higher chance at winning. However, both Arsenal and Man United performed quite well up until this stage in the EFL Cup. As a comparison, in the Premier League the Gunners are in 4th position on the table with 28 points – only 3 points behind leaders Chelsea – while Jose Mourinho’s men are in 6th with 20 points from the first 13 rounds in the English top flight. West Ham have so far endured a downturn in their fortunes, as compared to last season when they were flying high; they sit in 16th spot with 12 points at the moment. Southampton have surprised on occasion, but we doubt they can pull off a victory at Old Trafford tonight, considering their 10th position on the table with 17 points. Bet with Today’s Enhanced Offer at William Hill and pocket big winnings after the games are over! Take advantage with Today’s Enhanced Offer!